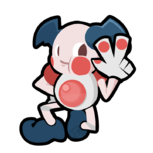 Version 18.03.19 of PKHeX has been released, adding a few new features, legality checking improvements, and bug fixes. - - Added: Fixed IVs for Static Encounters are now checked. - - Fixed: Shedinja family handling. Thanks @ultima-soul, @Lusamine, @OmegaDonut, @admiral-fish & @Marty-D! 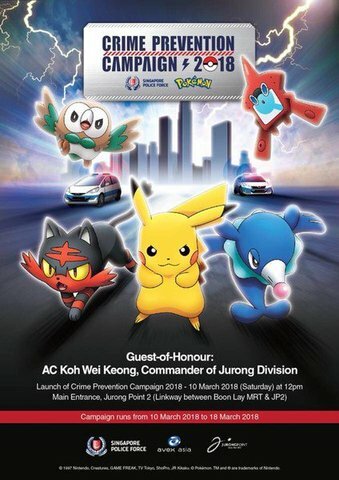 - - Changed: Pay Day Mewtwo is now legal (official transporter rules were updated). Thanks @Real96 & sora10pls! - Added: Base Stats are now displayed in the Stat editor tab, along with color highlighting. - Added: Mass PKM Import to Save File from Mystery Gift Database (and PKM Database). 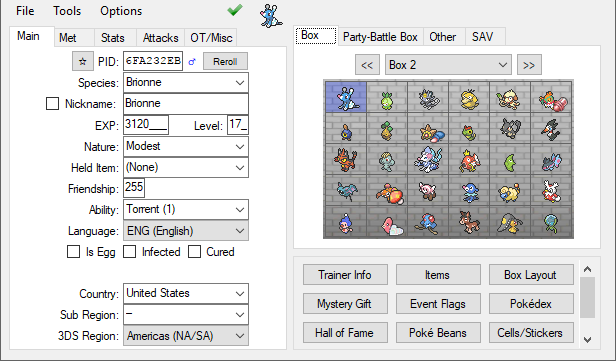 - Fixed: Importing a showdown set with a Hidden Power that does not specify IVs will find a valid IV set. - Fixed: WC6/7 IV generation now matches the games. Thanks @wwwwwwzx! - Fixed: Gen6+ Swampert Pokédex Forme flags now set correctly. Thanks @sora10pls! - Fixed: Gen4 Pokédex editing for Formes no longer throws errors. Thanks Ammako! - Fixed: Gen4- KChart no longer throws errors when loaded from a Generation 4 and below save file. - Fixed: Gen3 Ruby/Sapphire Roamer data is now editable. Thanks TetsuyaGR! - Fixed: Gen1 PlayTime is now set correctly. Thanks @Asia81! - Fixed: PKM Converter force hatched eggs now set their base friendship correctly. 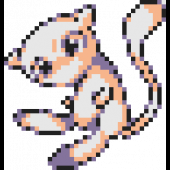 - Changed: PKM Converter for Gen3 is now faster (no longer uses Reflection). - Changed: PKM Converter now allows backwards conversion if HaX is enabled. - Changed: Reworked a few GUI Controls for easier handling. - Changed: Updated JP/CHS translation files. Thanks @smileynation & @wwwwwwzx! Partner hat pikachu should be working since the simulated WC files were replaced.